Annotation: Give beginning readers a boost with these whimsical, easy-to-read plays based on classic folk and fairy tales! 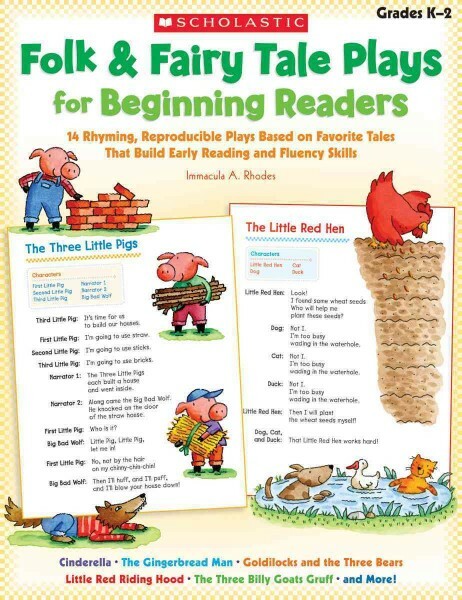 The plays feature rhyme, repetition, and predictable language to help children build vocabulary and become confident, fluent readers. Includes tips for building fluency, a teacher rubric, a student self-assessment checklist, and extension activities. - Language arts (Primary); Activity programs.